Established in 1977 South Electrical, Inc. specializes in industrial electrical services for the entire southeast region of the US. 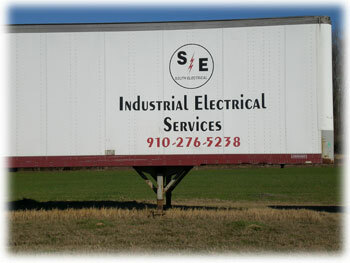 Based on the North Carolina / South Carolina line in Laurinburg, NC we are conveniently located to serve industrial locations from Virginia to Georgia and everything in between. While specializing in larger industrial projects ranging from ground-up design to complete electrical renovation, we also welcome smaller jobs and never leave a customer stranded. For over 30 years our primary focus has been professionally finishing your job on time and on budget leaving you with no loose ends to deal with. Our staff has the expertise and experience to provide you with innovative, timely, and cost effective solutions to any project or problem. You can be confident that we will always be there when you need us.